“If Bernie Sanders wins the White House,” goes a popular meme, “it will be the first time a socialist has been elected president since 2008.” While Barack Obama is not an avowed socialist, the meme underscores the fact that socialistic ideas are not the anathema that they once were. Bernie Sanders could win. Unlike Barack Obama, Bernie Sanders has been open about being a socialist, even if he doesn’t like the term. He has cited American Socialist Eugene V. Debs as his hero. Until he decided to run for the Democratic nomination last year, he served Vermont in Congress as an independent, not a Democrat. 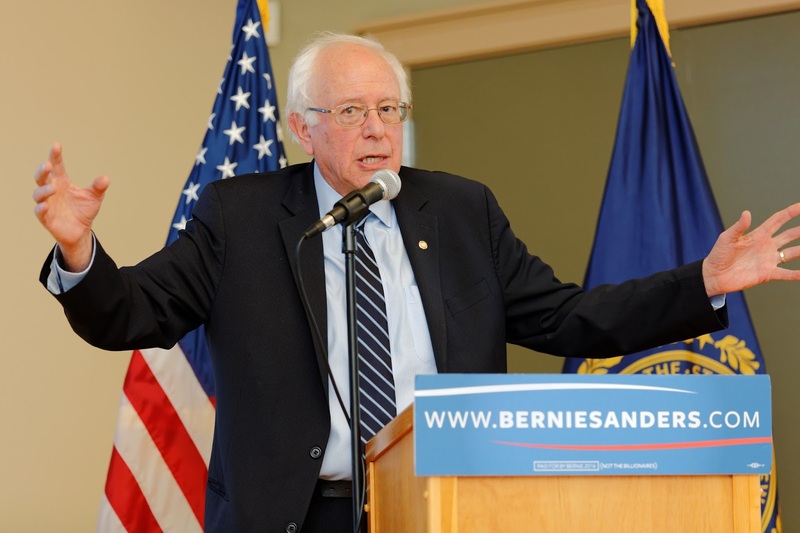 Bernie’s success has surprised many political observers as well as the Clinton campaign. Over the past few months the Sanders campaign has morphed from a quixotic campaign that seemed to exist only to make a statement to a burgeoning political movement that is increasingly playing to win. Still, in spite of his victories, Sanders trails Clinton in the delegate count, thanks in large part to the Democratic system of unbound superdelegates. At this point in the primary, it appears unlikely that Sanders can beat Hillary for the nomination in a straight fight. With 1,941 delegates still available, Sanders trails Hillary by 688. The proportional distribution of delegates in Democratic primaries makes it difficult for Sanders to win enough bound delegates to dethrone Hillary. In addition to a Sanders surge, a Hillary implosion will probably be required for a Sanders win. A major gaffe by Mrs. Clinton or, perhaps more likely, an indictment, might swing enough Clinton backers and superdelegates toward Sanders to allow him to secure the nomination. The situation is somewhat similar to 2008 although Obama had a slight lead in pledged delegates in April of that year. In contrast, Sanders trails in a close race. Winning the Democratic nomination might actually be the hardest part of Bernie’s path to the White House. While most on the right view the word “socialist” as very negative, polling shows that many young voters are more open to voting for socialists. The term is not the political kiss of death that it would have been 20 years ago. Second, Bernie is not viewed nearly as negatively as Republican frontrunners Donald Trump and Ted Cruz. Trump has the highest negative rating of any presumed nominee in history. Cruz fares better, but is still less popular than Sanders. Neither Republican is widely viewed as honest or trustworthy. With Cruz and Trump calling each other liars, competing to see who can be more harsh on immigration and even insulting each other’s wives, it is unlikely that either will seem much more likeable before the convention. Current head-to-head polling shows that Bernie fares better against both Republicans than Mrs. Clinton. The Real Clear Politics average shows that Sanders leads Ted Cruz by 10 points while Clinton only leads the Texas senator by 2.5 points, well within the margin of error of most polls. Hillary leads Donald Trump by more than 10 points, but The Donald trails Bernie by a staggering 16 points. With several months yet to go in the bruising Republican primary, it is likely that the eventual Republican nominee will emerge even more damaged and with higher negatives, making it even harder to turn the national tide. Sanders, on the other hand, is a likeable candidate. Even though most voters probably disagree with his policy prescriptions, he comes across as more honest and charismatic than either Hillary Clinton or the Republican frontrunners. His campaign has a positive energy that is lacking from the stolid plodding of the Clinton campaign, the televangelist feel of the Cruz campaign or the combativeness and anger of Trump. The Democratic primary has not been as dirty and damaging to its candidates as the Republican primary. In short, it’s likely that Sanders could beat either Trump or Cruz in a head-to-head race if he can put away Hillary Clinton first. The odds are stacked against the Republican duo by their harsh appeals to the conservative base on immigration. The swing states where the presidential race will be decided are filled with moderates and minority voters who are much less enamored with the idea of deporting illegal aliens than are Republican primary voters. The final nail in the Republican coffin would be the party division that will result from the convention fight that is almost certain to occur. If Trump goes into the convention with a delegate lead that is short of the required majority and does not emerge as the nominee, a large number of his supporters will desert the GOP and either not vote or vote for an independent Trump or another third party. On the other hand, a Trump nomination would be equally destructive to the GOP. As many as 30-40 percent of Republican voters could desert the party if Trump is its nominee. Trump opponents are also considering third party options. Regardless of the outcome of the primaries and convention, the Republican Party seems destined for a crackup. Barring a third party run from the left by someone such as Michael Bloomberg, who says he has changed his mind about mounting an independent campaign, a divided Republican Party would almost assure a Democrat victory, whether the candidate is Sanders or Clinton. The biggest obstacle to the White House for Bernie Sanders is disposing of Hillary Clinton and her superdelegate lead.